The exceptionally talented producer/songwriter Gethin Pearson will host the Prism Sound pop up studio at Hotel Pelirocco during Pro7ect’s highly collaborative three-day retreat. Cambridge, UK: July 31st 2018: Excitement is building for the next Pro7ect Songwriting Retreat in Brighton with news that the hugely talented producer, mixer and songwriter Gethin Pearson is joining the all-star cast of recording professionals who will ensure the 2019 event is a massive success. Multi-instrumentalist Gethin Pearson is comfortable with a range of genres, from rock and metal to classic indie, electropop and hip hop. His enthusiastic and encouraging style has a special way of nurturing talent by enabling artists to find their own sound, pushing them out of their comfort zone to explore new influences and sounds whilst also remaining true to themselves and their art. Gethin recently produced tracks on the To Kill A King album The Spiritual Dark Age including the singles The Good Old Days, Spiritual Dark Age and No More Love Songs, which he also co-wrote. Gethin also produced Kele Okereke’s contribution to the recent Universal Love album, My Guy. He's currently working with new acts The RPMs and The Pitchforks. He also recently did vocal production for Alma + French Montana’s massive single Phases as well as vocal production for Charli XCX. Other artists that Gethin has worked with include Mallory Knox, Hark, Army Of Bones, Benji Wild (Asteroid Boys), The Enemy, Ronan Keating, Judas, Monico Blonde, Purest, The Morning and Joe McVeigh. Pro7ect 2019 will take place at the Hotel Pelirocco in Brighton from February 25th to March 1st 2019. Songwriters and artists will have the opportunity to work with A-list producers to write, record and produce great music in four pop up studios, all equipped with the latest recording technology. 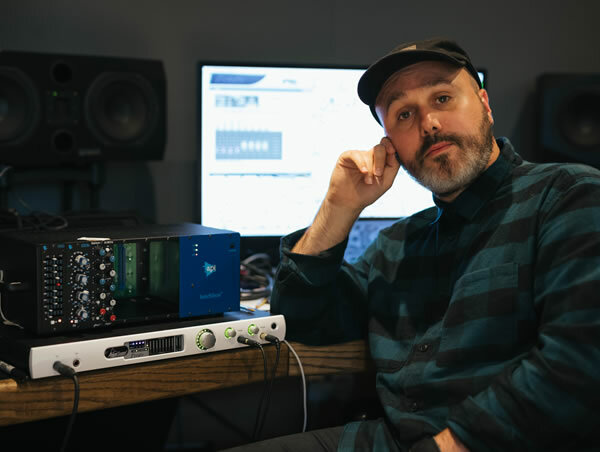 Gethin’s room is sponsored by equipment manufacturer Prism Sound and will feature some of the company’s award-winning audio interfaces, which also feature in Gethin’s own studio in Wales. Other sponsors include PMC, Focusrite/Novation, Roland and Audio Technica. Pro7ect participants work with producers to write and record a track a day for three days. The teams are changed each day and the songs are either written for one of the artists in the room or to spec using tip sheets. Every evening there is a feedback session where teams play the result of their day’s work to the entire group. Pro7ect has already announced that Stew Jackson, writer and producer for Massive Attack and a founding member of Phantom Limb, will be among its 2019 Headline Producer line-up. More high calibre names will be announced over coming months, adding to Pro7ect’s producer roster which includes the likes of Youth (Sir Paul McCartney/The Verve/Echo & The Bunnymen/The Orb), Roni Size (Reprazent, Method Man, Zac de la Rocha), John Fortis (Razorlight, Ellie Goulding, Yellowdays), Iain Archer (Snow Patrol, James Bay), Andrew Levy (Brand New Heavies) and Mercury Prize Winner Talvin Singh.